Piano. Composed by Isaac Albeniz (1860-1909). Edited by Johannes Behr. Sheet music. Henle Music Folios. Classical. Softcover. 14 pages. G. Henle #HN830. Published by G. Henle (HL.51480830). 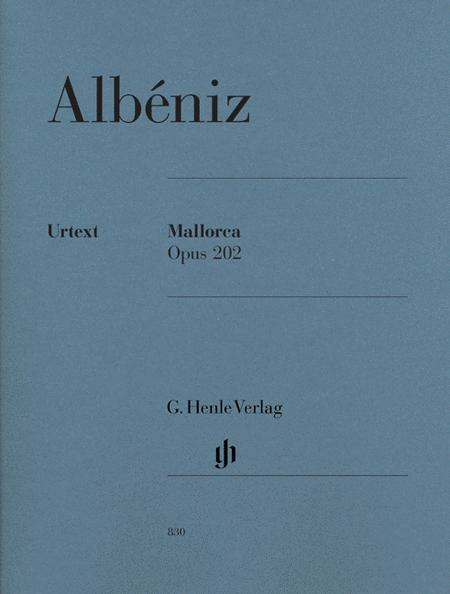 As with his famous “Asturias,” Albéniz' transcription of “Mallorca” for guitar became a great deal more popular than the original version for piano. He probably composed this tender, dreamy “barcarolle” during his second trip to Mallorca in May 1890. In so doing, he remained faithful to his penchant for portraying regions of his native land in music. 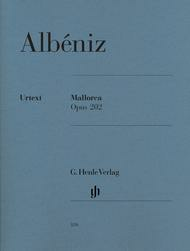 Enrique Granados, who admired Albéniz as a friend and patron, is said to have sat down at the piano when the composer was on his deathbed and greatly moved him with a rendering of “Mallorca.” Today's pianists can play this sophisticated work in an edition with superb engraving which also displays Henle's customary faithfulness to the musical text. 16th note figures (6/8 time sig.). Requires good dexterity as well as musical sensitivity--an advanced piece. If you are looking for something with the "Spanish sound" but not quite this hard, I would suggest Eugenie Rocherolle's Recuerdos Hispanicos. I have a large collection of widely varied piano solo literature to which I continue to add, playing through them not only for my own pleasure and technical upkeep but also to be familiar with prospective pieces for my students. I gave this four stars instead of five only because of the price.